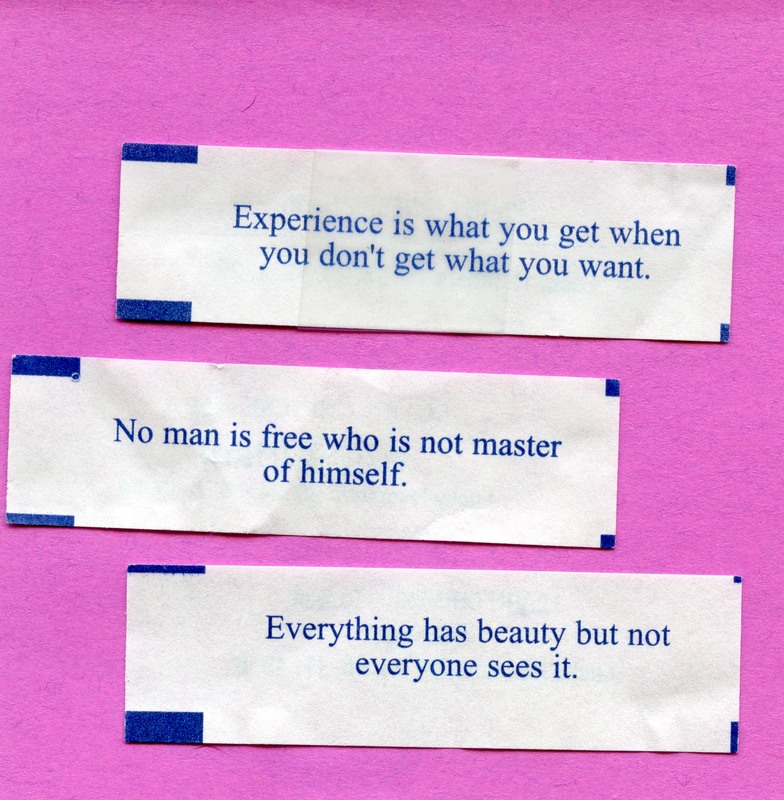 3 Jan 2015: Do you always do what a Fortune Cookie tells you to do? 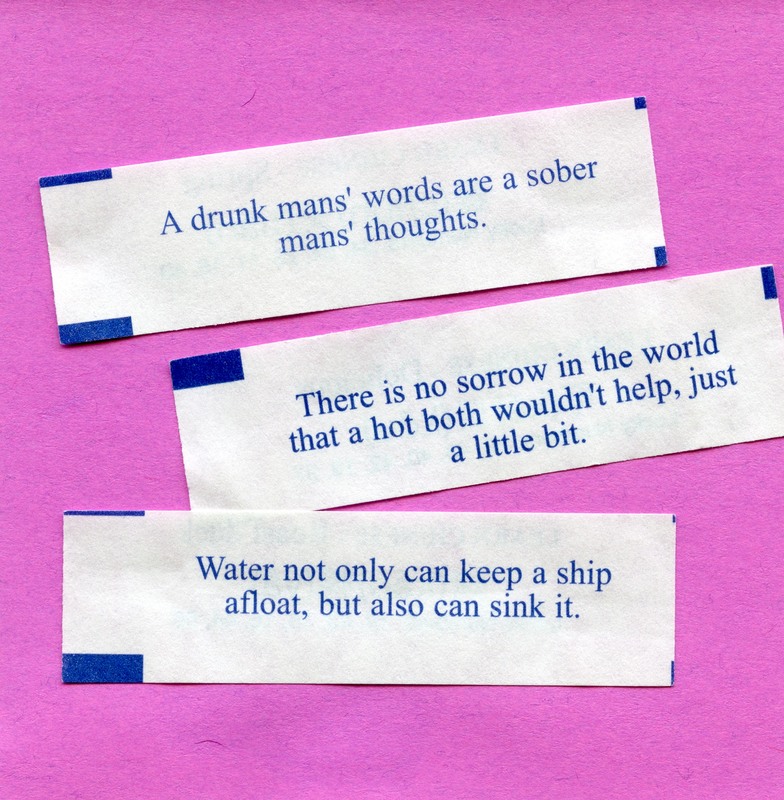 I don’t know if it’s because I just needed a bit more of a challenge, but somewhere down the line, I started writing fortune cookies into my books. First of all, let me tell you, I LOVE fortune cookies. They taste yummy (when they’re fresh) and like a box of chocolates, you never know what you’re going to get until you open it up. Sometimes it’s a gem, sometimes it’s a clunker. Anyway, a couple of years ago, I found a good one and slipped it in my wallet. Then I got another one and added it to the pile. Now I have a big jar full of them. That’s where I keep the rest of them, but I also have a little jar where I keep the good ones. The good ones are ones that I can possibly write into my books. I think I started when I was trying to find ways to describe one of my characters in book three, Roger. As I do with many of my characters, I like to use their intimate surroundings (his study in this case) to subtly describe them. It was that week that I got a fortune that said “No man is free who is not master of himself.” Talk about a good one! This was good for Roger for many reasons. First of all, Roger is obsessed with maritime history. The “Master” in this cookie, could be subtle as a reference not only to Roger himself, but also as in the Master of a vessel. But it also described Roger’s independent spirit. Now it’s sort of a game with my fans. After I publish a book, I’ll have them guess where the fortunes are. Here’s some of the other ones I’ve used in my last three books.